With medical marijuana set to debut in Massachusetts several months from now, there’s been a lot of coverage about the botched rollout of dispensary licenses in the Bay State. Parallel to that, there’s also a minor rumpus unfolding over TV spots for New York-based Medical Cannabis Network and its website MarijuanaDoctors.com. The first ones who stand to make a windfall off medical marijuana aren’t necessarily the dispensaries or doctors; they might just be the advertisers and the media that air their campaigns. In April, months before the first dispensaries are scheduled to open in Massachusetts this summer, what’s expected to be the Northeast’s first marijuana-related commercial is due to air on major networks, opening the floodgates to what could turn out to be big business for both the companies that create the commercials and the ones that run them. “I would imagine medical marijuana sales will probably reach the hundreds of millions of dollars, and advertising is usually some percentage of gross revenue, so it could be a very big potential revenue source,” said Bruce Mittman, president of Mittcom, a local advertising agency. 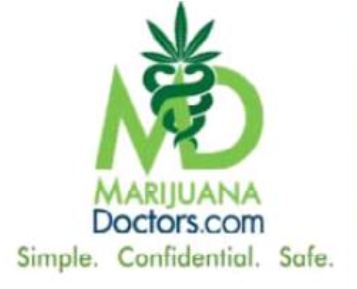 New York-based Medical Cannabis Network has booked airtime through Comcast Spotlight to advertise marijuanadoctors.com, which pairs patients with doctors in their area who will evaluate whether marijuana should be used for their serious illness or chronic pain, according to founder Jason Draizin. The feisty local tabloid scored more medical pot in yesterday’s edition. The first medical marijuana commercial slated to run on television in Massachusetts next month has vaporized — at least when it comes to airing through Comcast. The ad failed to make its debut this past week in New Jersey because Comcast Spotlight, the advertising sales division of Comcast, rejected the ad as unsuitable. “All commercials are subject to final review by Comcast Spotlight prior to airing and during that process it was determined that the spot did not meet our guidelines,” Comcast spokesman Steven Restivo said yesterday. Meanwhile, the Boston Globe has failed to inhale. This entry was posted on Monday, March 10th, 2014 at 9:54 am and is filed under Uncategorized. You can follow any responses to this entry through the RSS 2.0 feed. You can leave a response, or trackback from your own site.